If you start to do some research on air conditioning technology, you might come across some unfamiliar phrases. One of the most common ones is “two-stage,” something you’ll see in air conditioners that generally have a high efficiency rating. You may be wondering what this is and why it’s so important. Is it really that much different than a traditional “single-stage” air conditioner? We tell you what you need to know about these high-efficiency AC systems in the guide below. Which Air Conditioner Is Best for Warm Climates? If you find an article online about AC installation, you must keep in mind that climate makes a huge difference. The person who wrote it may live in a climate with cool winters, meaning they don’t have to deal with nearly year-round air conditioner usage, like many of us in Miami. Some of the air conditioners that can help homeowners save a few bucks and feel more comfortable up North may not work for us. We want to help those of you struggling to find the best AC system for your home in an area where you use it almost nonstop. Follow our advice below, or call our friendly technicians to help you select the best fit. Posted in Air Conditioning | Comments Off on Which Air Conditioner Is Best for Warm Climates? As we’re inspecting an air conditioning system or heat pump, we often find that it’s in the homeowner’s best interest to upgrade their equipment. Of course, the biggest reason a homeowner tells us they’d rather risk it is the cost of a new air conditioner. But we’re here to tell you that a new air conditioning system very well may be within your price range. Air conditioning installation is a necessity, so it’s not something you can put off for too long. But the full cost of the system is something you may be able to put off for a while, if you qualify for Ygrene financing. Posted in Air Conditioning | Comments Off on Can You Qualify for Ygrene Financing? The #1 reason homeowners don’t upgrade old, failing air conditioning equipment until the last possible minute: cost. If you think that you cannot afford a new AC system before summer starts, think again. Finance your new air conditioner in Miami through the Ygrene Works program, and payment is easier and more affordable than ever before. Air On Demand is proud to be an Ygrene certified contractor, helping homeowners to get quality, high-efficiency air conditioners and other home upgrades with easy payments made through your property taxes. Call our team to learn more. When you start looking for a new central air conditioning system to replace your current one, you’ll encounter numerous statistics and a sometimes befuddling array of acronyms. This is one of many reasons you should have HVAC professionals assist you with installation from the start of the process. They can help you navigate through the maze of ratings and specifications toward the AC that will give your home the cooling matched ideally to a humid Florida summer. There is one air conditioning rating we’d like to offer some additional information about, since it will help you understand how efficiently a system operates, and therefore how much you can expect to pay to run it each year. Professionals will help you determine the efficiency rating that will suit your needs. Make sure you have a knowledgeable team working on your air conditioning installation in Miami, FL: contact Air on Demand and speak to our qualified AC specialists. The rating used to list the efficiency of an air conditioning system is SEER, which stands for “seasonal energy efficiency rating.” SEER is a ratio of the amount of cooling power produced to the amount of energy consumed. This is measured over a whole season, which makes SEER different from EER, which measures only a single test. The cooling power is measured in British Thermal Units, which is the amount of energy needed to change the temperature of a gallon of water one degree. For air conditioning, BTUs measure the amount of heat removed from air to cool it down. The units of electrical energy are in kilowatt hours (kWh). SEERis the ratio of BTUs/kWh. The higher the number, the more efficient the cooling system is at changing electrical power into the power to remove heat from the air. In order for an air conditioner to qualify for the U.S. Department of Energy’s ENERGY STAR label for efficiency in Florida, it must have 14.5 SEER or greater. Most central ACs score in the 14–20 SEER range, with special high-efficiency models rating even higher. Keep in mind that SEER rates efficiency, not the actual cooling capability of an air conditioner. Just because a unit has high SEER does not mean it will keep your home’s temperature at the level you need; SEER indicates instead how well the system uses electricity to cool. Don’t rely on SEER as your sole criteria when choosing a new system. Your installation expert will assist you with balancing out all the important factors. Air on Demand handles air conditioning installation in Miami, FL with the highest quality equipment. With us backing you, rest assured that you’ll receive the air conditioning system that will keep you comfortable, and your power bills in check, for many years to come. Miami AC Guide: Is a Ductless Mini Split System the Right Choice for You? If you are in the market for a new home HVAC system for the first time, you may be overwhelmed by all the choices and information out there. The great number of ways from which you may choose to heat and cool your Miami home is a big benefit, as it helps ensure that there is an option well suited to your needs out there. Of course, the array of options to choose from can also make it more difficult to find the right HVAC system for your home. When you start to feel like you may need some help choosing your new system, contact Air on Demand. Before making any decisions we encourage you to consider the installation of a ductless mini split system. Here is some information about this great home heating and AC option. Ductless mini split systems are perfect for homes that cannot or never have been outfitted to accommodate air ducts. The elimination of ductwork from the heating and cooling process also means that ductless mini splits are not as susceptible to energy loss as forced air systems. Leaky, damaged air ducts are one of the most common ways in which energy is wasted when heating or cooling a home. Lose the ductwork rather than the energy you have paid for by making the decision to go ductless. Due to the fact that ductless mini splits use individual, wall mounted blowers to distribute air throughout your home zone control is simple. By using separate thermostats to control different blowers you can regulate temperatures with more control than ever. There is no need to cool an empty bedroom just because you want the living room to be warm, after all. 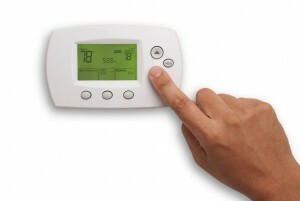 Increase energy efficiency by increasing the control you have over your AC system. If you would like to learn more about ductless mini splits or wish to schedule an installation, contact Air on Demand. Our expert technicians have all the training and experience necessary to ensure that your ductless mini split installation is handled with the care and professionalism you deserve. We’ll make your Miami home a more comfortable place to live. 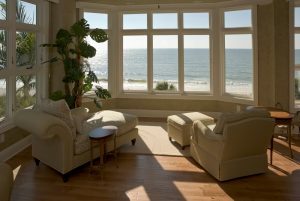 Posted in Air Conditioning | Comments Off on Miami AC Guide: Is a Ductless Mini Split System the Right Choice for You?